Funding for the project comes from a grant from Rotary International. The Rotary Club of Lafayette and the Rotary Club Santiago Monumental (Santiago, Dominican Republic) obtained a grant to aid in the construction of water treatment systems for schools in three different communities in the Dominican Republic: Los Peladeros, El Mamey and La Torre. The Purdue team will work with the Rotary clubs to design, build, and implement these systems over a period of three years. The treatment systems have been designed by faculty and students from the colleges of Engineering, Agriculture, Science and Health and Human Sciences. The systems will collect water from the schools’ rooftops and purify it through the use of multiple barriers. In addition, communities will receive public health education, form a local leadership group and develop a business model. The construction of these sustainable water treatment systems will provide three schools with purified water to decrease waterborne illness, increase availability of sanitary water and promote healthy hygiene habits. Purdue students and faculty are going to the Dominican Republic to work on a project implementing water treatment systems. Front row, left to right: Trent Jackson; Rebecca Johnson, continuing lecturer, School of Nursing; Audrey Caprio; Paige LeMaster; Natalie Donovan. 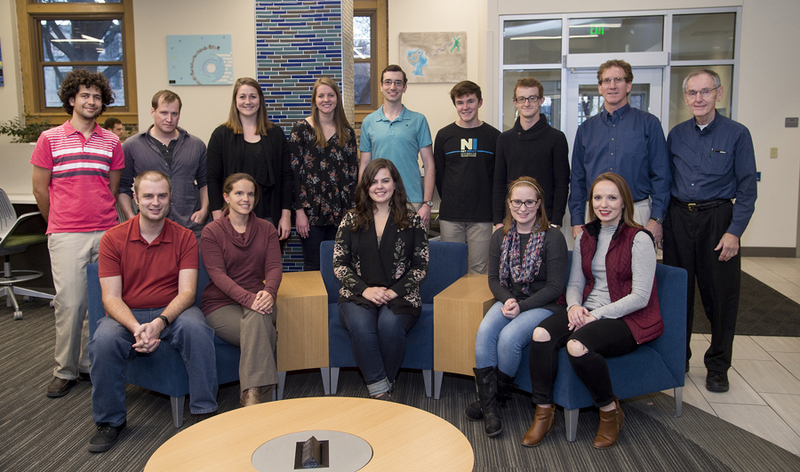 Back row, left to right: Andres Valero; Tony Minich; Maggie Busse; Elise Fischer; Andrew Kanach; Jackson Bennett; Jake Hawes; Ernest R. Blatchley III, professor of civil engineering and environmental and ecological engineering; Jack Kelley, Rotary Club of Lafayette. Not pictured: Jessie Best, Autumn McElfresh-Sutton and Shannon Roberts.